Quarry Walk in Cheadle, Staffordshire. 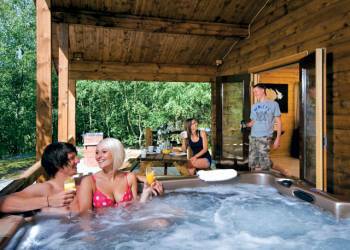 The luxury holiday lodges at Quarry Walk sit in 46 peaceful acres of woodland that is a haven for wildlife and visitors alike. 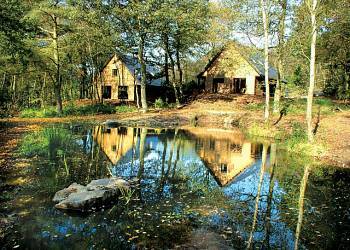 The log cabins are set off the beaten track amid tranquil woodland trails with an abundance of flora and fauna. The opportunity to enjoy nature is in abundance whilst still having all of the creature comforts of home. Rudyard Lake Lodges in Leek, Staffordshire. 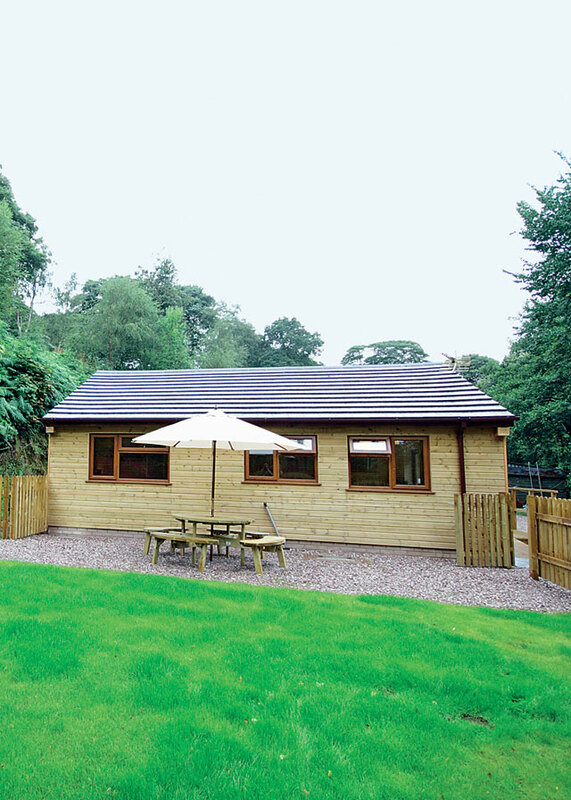 Rudyard Lakes Lodges are hidden deep in the heart of the Staffordshire Moorlands. 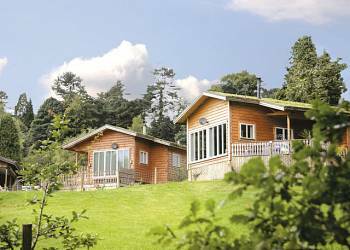 Set near Rudyard Lake, these luxury timber lodges offer the perfect retreat. Kipling Lodge in Rudyard Lake, Staffordshire. 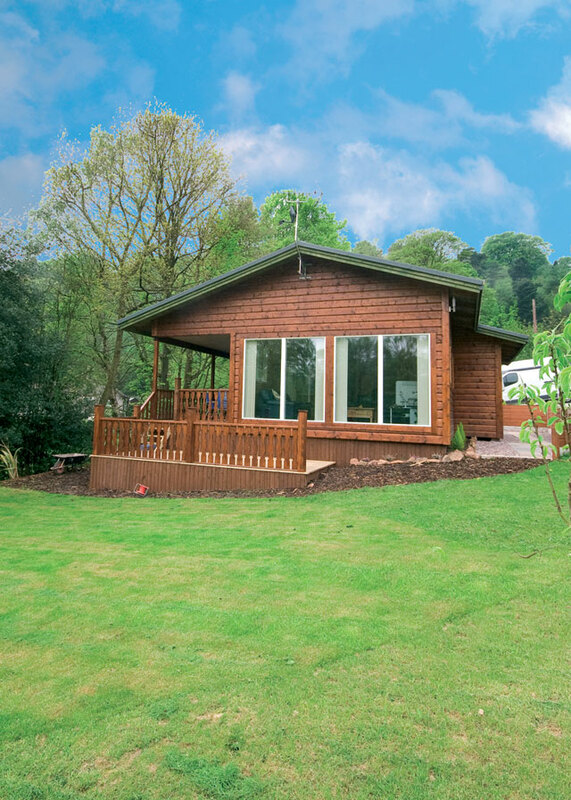 Enjoying beautiful views across a delightful woodland setting towards Rudyard Lake this luxury timber lodge boasts a hot tub on its verandah and a lovely contemporary interior. Its peaceful setting on a small natural park is within easy reach of Peak District attractions including Chatsworth Alton Towers Splash Landings and the Potteries. Good walking boating and fishing under 200 yards. Pub 500 yards and shops in Leek 3 miles. Cuckoo Well Lodge in Bradley in Moor, Staffordshire. In a truly secret hideaway location yet only 4 miles from Alton Towers and glorious walking in Dimmingsdale this lovely newly built lodge boasts both smart furnishings and its own enclosed garden. Set near the owners' weekend lodge it lies 10 miles from Festival Park's waterworld swimming pool bowling and cinemas. Trentham's monkey park and Go Ape Wedgwood Story Ashbourne Shugborough Hall and Drayton Manor theme park are all in easy reach. Shops and pub 3 miles. Ramshorn Woodland Lodges in Oakamoor, Staffordshire. 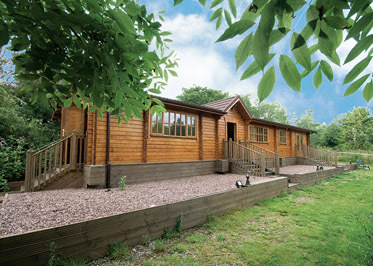 Ramshorn Woodland Lodges are perfectly located within the stunning Staffordshire countryside. These impressive two storey lodges are a popular choice with both families and groups of friends looking to enjoy the wealth of attractions literally on the doorstep and in and around this beautiful local area. Waterside Lodge in Hamstel Ridware, Staffordshire. This secluded and contemporary lodge enjoys a supremely peaceful location and lovely countryside views from its position adjacent to fishing lakes. Seventh heaven for anglers! The village pub is just 200 yards and Hoar Cross Hall (3 miles) offers day spa facilities and golf. Rugeley and Lichfield are 7 miles Cannock Chase Shugborough Hall Sudbury Hall and the thrills of Drayton Manor and Alton Towers are within easy reach. Shops 3 miles.